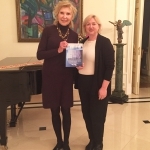 "Speech Impediments: Theory and Practice"
Thanks to one of Joseph and Alexandra Kazickas' grandchildren philanthropy choices, back in 2016 Kazickas Family Foundation sponsored Dr. Vilma Makauskiene‘s fellowship at the American Institute for Stuttering where she participated at the two week intensive therapy program for people who stutter. 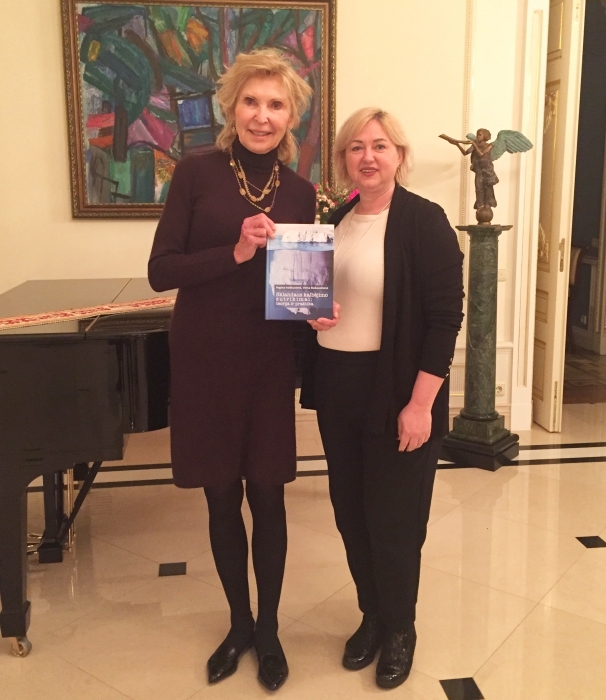 Due to high demand and need in Lithuania Dr. V. Makauskiene together with Dr. R. Ivoskuviene published a book in 2018 called "Speech Impediments: Theory and Practice". The Book Speech Impediments: theory and practice introduces to the theories explaining the causes for stuttering, discusses complex structure patterns of disorder, offers detailed stuttering and cluttering descriptions, teaches how to differentiate those impediments. Readers can find lots interdisciplinary and family oriented practical suggestions offered by the specialists working with individuals with speech impediments. Stuttering is often understood as a speech phenomena covering various fields related to communication. While talking about this impediment, iceberg analogy is used. The tip of the iceberg, which is the part that is above the water line, represents the mechanical and physical act of stuttering, however, so much more is below the surface. The emotional baggage, things that we can’t see are most important, such as shame, fear, anxiety, denial, isolation, etc. The Book Speech Impediments: theory and practice is written to help special education students and teachers, specialists working with individuals living with speech impediments, their family members and all who want to learn more about this disorder. There are many useful tips on how to make make communication on daily basis easier and successful.